Jet Products Company, Inc., 2007 Web Site Redesign — PRK Kreative Portfolio | Responsible web site design, development, and marketing. 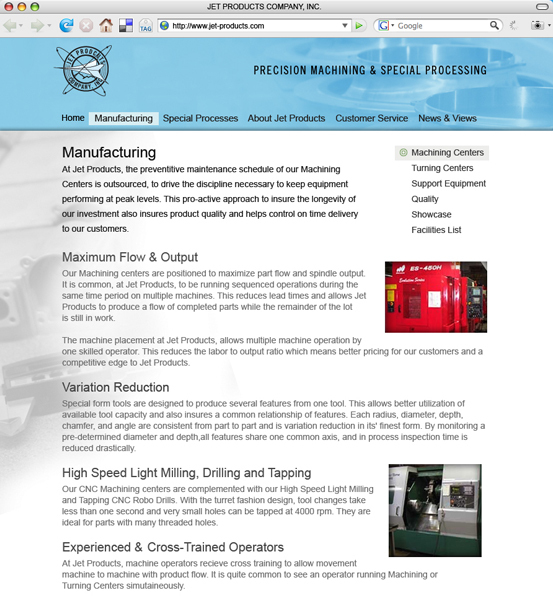 Working in collaboration with Energize.info we helped Jet Products Company, Inc. redesign their web site. JET needed to modernize their web site with a contemporary web site design, streamlined information architecture, and content management system.